Running Gazelle is a new painting in the African animal series for my Heni’s Happy Paintings Etsy Shop. Images of gazelles have been showing up in my life lately. I looked up the symbolic meaning of gazelles, they symbolize graceful feminine energy. That made sense to me, they are such beautiful graceful creatures running with ease in groups. I also love their dark curved antlers which are so striking. I wanted the painting to have the bright sun with lots of color to enhance the joyful feeling of running. It’s a busy season, our daughter gets home next week for her winter break; we so looking forward to seeing her. My wish is for all to have a joyous holiday season! 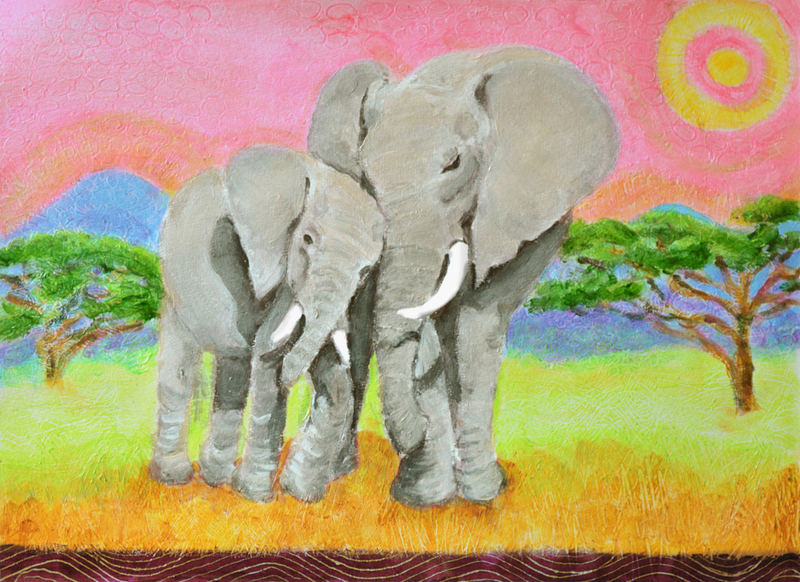 The King is a new painting for my Heni’s Happy Paintings Etsy Shop. I had painted a lion cub a while back which I titled, The Prince. I wanted to paint an adult male lion with his large dramatic mane as a compliment to the first painting. I remember watching “Born Free’ when I was a child and dreaming of traveling to Africa to live with the lions. They are such majestic creatures. 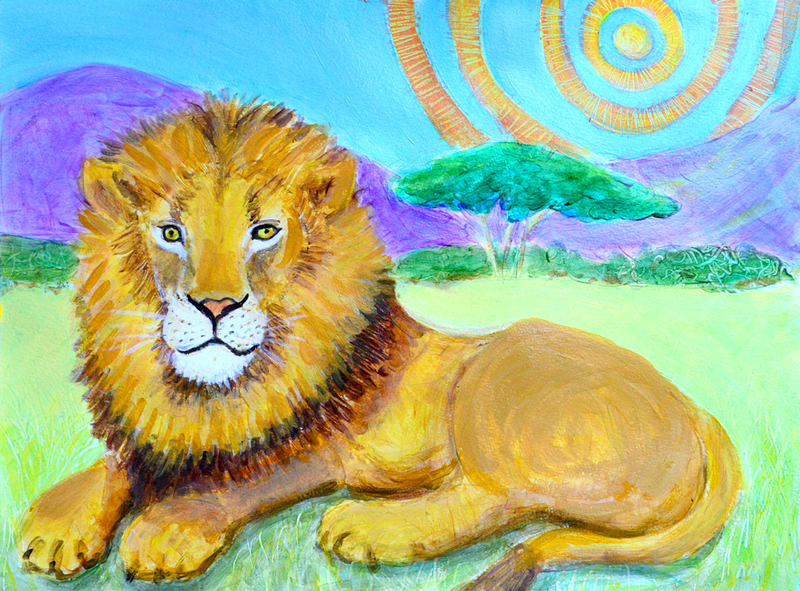 The lion is a symbol for Leo, the sun is shining brightly behind the lion is the ruler of Leo. Leo’s love to shine and like the lion are leaders, big hearted and loyal. The Little Prince is a new painting in my wild animal series that I made for my Heni’s Happy Paintings Etsy Shop.. This little lion cub is relaxed and basking in the sun. He looks a bit like our beloved cat, Tig, short for Tiger. Tig acts like a lion, he is full of confidence, easy going and he has strong sense of self love which he graciously offers to all people who approach him. We got Tig as a kitten for my girl’s fourth birthday and twelve years later they still have a very strong connection. My girl is a Leo, she understands and loves cats. In fact she turned my husband and me into cat lovers, we now have three kitties that keep us entertained. 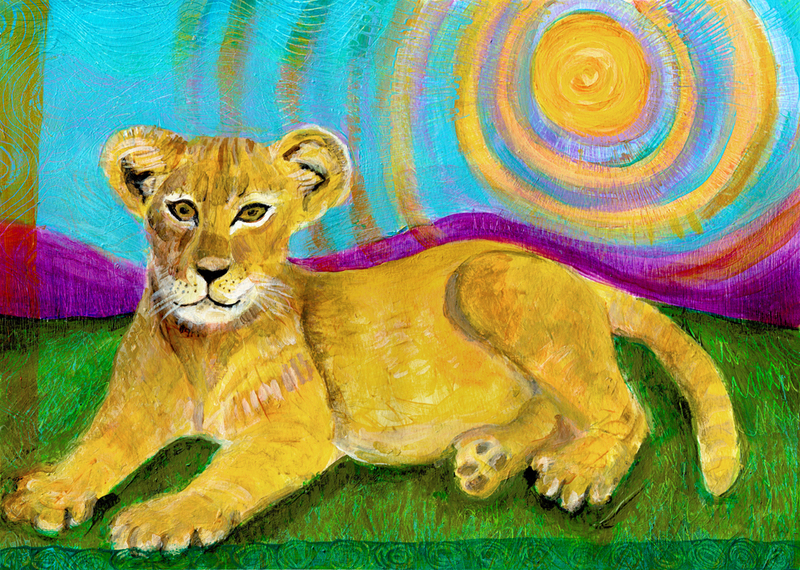 A print of this colorful little lion cub would brighten any little Leo or cat lover’s bed room.